I decided to study Oceanography because of my love for the sea and my desire to understand better how it worked. I wanted to travel and learn about the world. When my friends were heading off on gap years to hot sunny places, I decided that where I really wanted to go was the Arctic. I also decided that the best way to get there was to do a degree in a subject that might take me there. It clearly was, because ten years on, I'm a Polar Oceanographer working for the British Antarctic Survey. Emily did an MSci in Oceanography and Graduated in 2007. 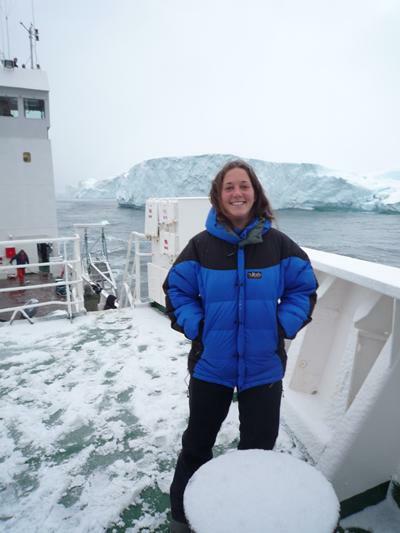 During her time as a student she undertook a summer placement at the Scottish Association of Marine Science between years 3 and 4, and went onto do a PhD there when she graduated. She also joined a cruise to the Arctic as a part of her final year project.